Is your website getting as much traffic as you'd like? Are you converting on a level that has your team scrambling to fill orders? If you're like most business, the answer to these questions is "no." There's always room for improvement. When examining your site for areas to improve, the question becomes where to start. In the ever-changing world of SEO, what factors carry the most weight? Should there be a focus on content, technical factors, or social signals? 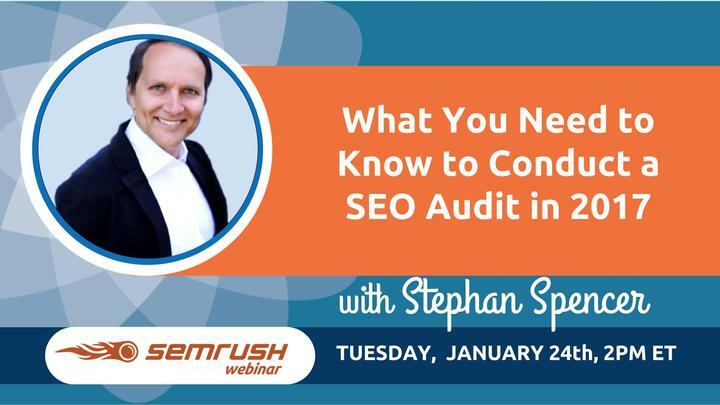 Stephan Spencer will be answering these questions and providing a strategy for improving your site's SEO to maximize business opportunities in 2017.